Please update your browser or your Flash plugin to a recent version. 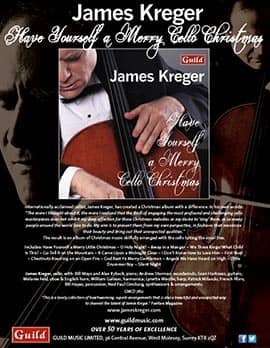 Why should a cellist who has devoted his recording career over the decades to such works as concertos by Dvorak and Ibert and sonatas by Men­dels­sohn now be offering a program of Christmas music? 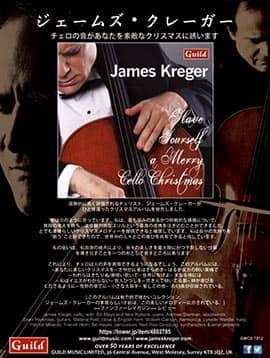 To answer this question, I think I should offer a few words that show why this latest CD, Have Yourself a Merry Cello Christmas, also very much represents who I am. I was born and raised in Nashville, also known as Music City USA, bastion of country music. My uncle's furniture store was next to the landmark Ryman Auditorium, where for years the Grand Ole Opry's concerts were broadcast live. I listened to the likes of Minnie Pearl, Lester Flatt, Earl Scruggs and the Foggy Mountain Boys as well as other wonderful singers on the radio and on WSM TV's Noon Show. My great uncle, affectionately known as "Pop," lived in a converted attic in my uncle's house, a short walk from my place. I'll never forget the day I heard the intoxicating sounds of magnificent voices wafting down from Pop's upstairs bedroom radio. I was barely ten years old. It was my first exposure to the Metropolitan Opera's weekly Saturday broadcasts. I was smitten and hooked all at once. Just as with those soulful, heartfelt country and folk singers of the Opry, the Met Opera became yet another cornerstone of my vocal musical foundation. At sixteen I moved with my family to Los Angeles, where I continued to be immersed in the rich musical culture of that city. (use back button to return to this page). After spending a year at the University of Michigan, I moved on to New York, played my Carnegie Recital Hall debut partnered by pianist Garrick Ohlsson, graduated with honors from Juilliard, garnered a top prize at the Fifth International Tchaikovsky Competition in Moscow, and played my London Wigmore Hall debut partnered by pianist Ursula Oppens. I joined the Metropolitan Opera Orchestra in my thirties and remain there to this day, where I continue to learn and be inspired by the grand vocal tradition of the artists who have performed within its hallowed walls, and whose collective spirit remains eternal. We Three Kings / What Child is This? The genesis for this Christmas CD is a logical outgrowth, coming of age realization, as it were, of just what singing, the voice and the musical line are all about. I have known the executive producer, a valued friend, Dr. Hsing-Lih Chou, for more than 35 years. He is a well-known composer/singer in his own right and a pioneer of the Campus Folk Song tradition in Taiwan. He suggested we do a Christmas CD. 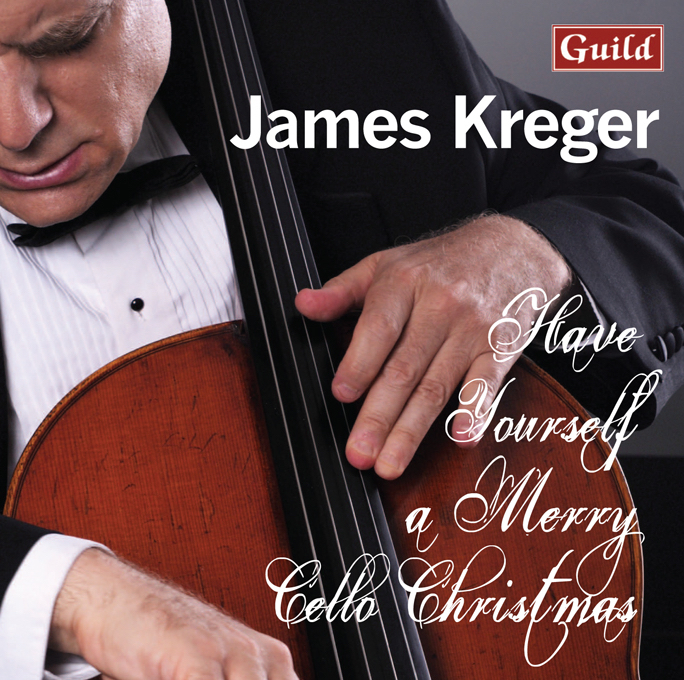 The more I thought about it, the more I realized that the thrill of engaging the most profound and challenging cello masterpieces does not inhibit my deep affection for these Christmas melodies or my desire to "sing" them, as so many people around the world love to do. My aim is to present them from my own perspective, in fashions that maximize their beauty and bring out their unexpected qualities. In "Have Yourself a Merry Little Christmas," when harmonica player William Galison improvises on the cello's melodic lines, it's as if he is mirroring the actual pure emotion itself, the ultimate enhancement any collaborative artist could ever hope for. This approach of entering inside the music at hand, commenting upon and shining a beacon of light on it is once more exquisitely evident in the world class playing of pianist Bill Mays in all three of his contri­butions: "Have Yourself a Merry Little Christmas," "Go Tell It on the Mountain," and "Chestnuts Roasting on an Open Fire." Oboe and English horn player Melanie Feld follows suit with her meltingly beautiful, long-lined melodic playing in "Away in a Manger" and "I Don't Know How to Love Him." She offers authenticity, since for years she has played in the pit orchestra of Andrew Lloyd Webber's Phantom of the Opera on Broadway. Sean Harkness, acoustic and electric guitar, shows complete involvement and versatility in anything he plays, whether it's the Dixieland band/hip-hop world of "Go Tell It on the Mountain" or the timeless favorite, "Chestnuts Roasting on an Open Fire." The sound of a French horn in much of the musical literature often presents the impression of something quite elevated, even God-like. When the artist Patrick Milando plays, this comes to mind in spades, especially in "O Holy Night!" and "Angels We Have Heard on High." Pianist Alex Rybeck produces sounds of symphonic proportions in "Little Drummer Boy" and shows grace in "It Came Upon a Midnight Clear." Harpist Lynette Wardle creates beautiful colors and textures in five songs including one of my favorites, "We Three Kings / What Child Is This?" I have worked with the versatile woodwind artist Andrew Sterman on many projects over the years. On this recording Andrew plays the flute, clarinet, bass clarinet, bass flute, soprano recorder and piccolo. The atmospheric sound and plaintive lyricism he creates on the bass flute in "Silent Night" is unforgettable. Percussionist Bill Hayes lends effective touches to many songs, with tasteful playing on bells, cymbals, triangle, crotales, and even a siren whistle. Last but certainly not least, I am indebted to both Ned Paul Ginsburg and Ted Spencer. Ned created stunning and diverse arrangements and orchestrations, not to mention his understated contributions on synth bass, synth drums, harpsichord, and keyboards. He re­cruit­ed all of our players, and worked with me to select repertoire. From the outset Ted conferred with me about appropriate miking techniques, then over­saw the recording of tracks at Avatar Studios. He then mixed and mastered the entire project at Ted Spencer Recording. His contribution has been huge. Ned agreed that on the cello parts from which I recorded he would place the original song lyrics before my eyes, above the written notes (this is not typically done). I am sure that having the lyrics visible added something — however indefinable. My great hope is that this and other intangibles that made this project a special experience for me, also come across to the listener.